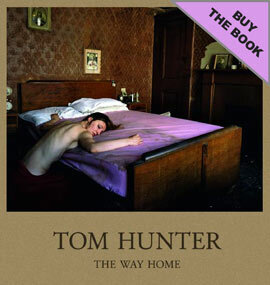 Tom Hunter is an artist using photography and film, living and working in East London. He is Professor of Photography at the London College of Communications, University of the Arts, London, Honorary Fellow of the Royal Photographic Society and has an Honorary Doctorate from the University of East London. Tom has earned several awards during his career, his latest in 2016, the Rose Award for Photography at the Royal Academy, London. Tom graduated from the London College of Printing in 1994 with his work ‘The Ghetto’, which is now on permanent display at the Museum of London. He studied for his MA at the Royal College of Art, where, in 1996, he was awarded the Photography Prize by Fuji Film for his series ‘Travellers’. In 1998 ‘Woman Reading a Possession Order’ from his series ‘Persons Unknown’, won the Photographic Portrait Award at the National Portrait Gallery. In 2006 Tom became the only artist to have a solo photography show at the National Gallery, London with his series ‘Living in Hell and Other Stories’. Tom Hunter’s work has been exhibited nationally and internationally in major solo and group shows including: Life and Death in Hackney, National Gallery Washington D.C. USA; Seduced by Art, National Gallery, UK; A Palace for Us, Serpentine Gallery, UK; Another Story, Photography from the Moderna Museet, Stockholm, Sweden. He has published six books including, Le Crowbar (Here Press 2013) The Way Home (Hatje Cantz, 2012). Tom has been commissioned by the Serpentine Gallery London, The Victoria and Albert Museum, the Museum of London and The Royal Shakespeare Company. His works are in many collections around the world including; MOMA, New York, The V&A, London, Tate Modern, Moderna Museet, Stockholm, Smithsonian, Washington, National Gallery, Washington, National Gallery, London and the Los Angles County Museum of Art. 1986 – Moves to Hackney and works as a tree surgeon. Spends a year working for the USA Forestry Service in Puerto Rico. 1990 – Attends A-level Photography evening classes at Kingsway College, London. 1991-94 London College of Printing, BA 1st Class Hons. 1995 – The Tredou Arts and Culture Awards. 1995 – The Ghetto, museum of London. 1996 – Royal College of Art First Year Award for Best Photography (Fuji Film UK Ltd). 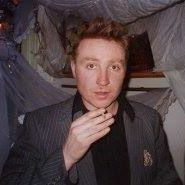 1997 – Royal College of Art, MA. 1997 – Wins Painter-Stainers Photography prize at The R.C.A. 1998 – Wins John Kobal Photographic Portrait Award with Woman Reading a Possession Order. 1999 – Neurotic Realism, The Saatchi Gallery, London. 2000 – Life and Death in Hackney, White Cube, London; Green on Red Gallery, Dublin. 2002 – Thoughts of Life and Death, Manchester Art Gallery, Manchester. 2002 -Tom Hunter: Photographs, Contemporary Art Centre, Vilnius. 2003 -Tom Hunter, Frans Hals Museum, Haarlem. 2003 – Wins John Kobal Book Award. 2004 – 1997-2004, Domus Artium 2002 Museum, Salamanca. 2005 – Tom Hunter, Galeria Visor, Valencia. 2006 – Living in Hell and Other Stories, The National Gallery, London. 2006 – Living in Hell and Other Stories, The Graves Art Gallery, Sheffield. 2006 – Artist in Residence, Irish Museum of Modern Art, Dublin. 2006 – Living in Hell and Other Stories, Yancey Richardson Gallery, New York. 2007 – Tom Hunter, The Mint Museum, Charlotte, North Carolina. 2007 – Art Project Commission from Rosetta Life. 2007 – Working on Film Commission with Channel 4 and the I.C.A. 2007 – Symbolismus Exhibition in Von der Heydt-Museum in Wuppertal. 2007 – Tom Hunter, The Falckenberg, Collection at Phoenix Kulturstiftung in Hamburg. 2007 – Art Project Commission by The Serpentine Gallery, London. 2014- The Portrait in Contemporary Photographic Practice, The Wellin Museum of Art, Clinton, U.S.A.
2016- Shakespeare in Art, Compton Verney, U.K.
2017- Searching For Ghosts, V&A’s Museum of Childhood, London, U.K.
2017- E.U. Flaneur, Format Festival, Derby, U.K.
2017- Small is Beautiful, Flowers Gallery, London, U.K.
2017- Invited Artist, Royal West of England Academy, , Bristol, U.K.